In centuries past, the delicate act of social introduction for the upper echelons of society occurred in the ballroom. Closely chaperoned, eligible bachelors and unmarried ladies became acquainted, conversed, and developed relationships all with a trifold purpose of exercise, social networking, and finding a spouse in these civilized settings. In glittering ballrooms and dressed in their finest clothes, Europe’s gentry and North America’s moneyed class hunted for wealth and status. Ballroom dancing or social dancing occurred in partners, ladies paired with gentlemen. Couples followed prescribed steps to sets of music with certain tempos and patterns given specific names: minuet, quadrille (which branched into square dancing), polonaise, polka, mazurka, and so forth. The Ball-room Bijou, and Art of Dancing (1850) by Charles Durang describes these and other social dances along with “rules for polite behavior.” The aforementioned historic dances later yielded to the waltz, foxtrot, cha-cha, tango, and other modern styles evolving from mainly Latin influences. Ballroom dancing took firm hold of high society in the 16th century with the publication of Orchésographie (1588) by Thoinot Arbeau. The book analyzes contemporary social ballroom behavior and the interaction between musicians and dancers, as well as aligning dance steps of the basse danse, branle, pavane, and galliarde (a.k.a. cinq pace) with music. 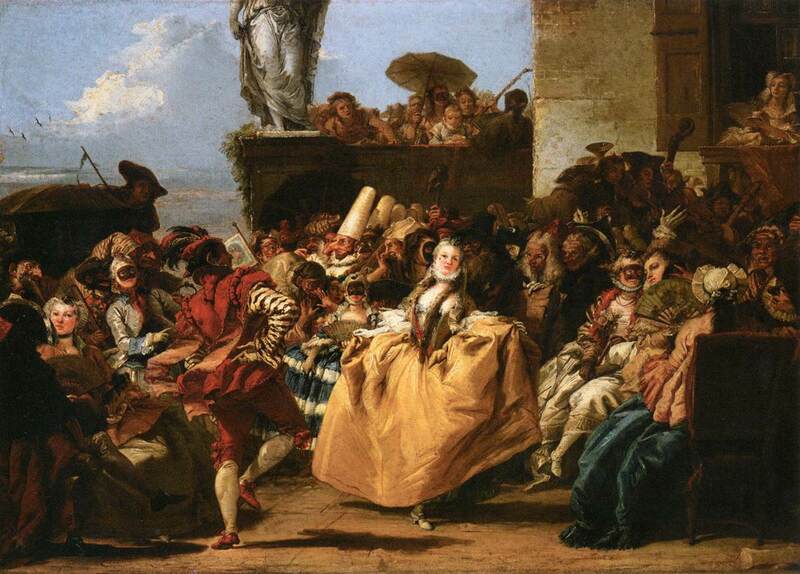 In 1650, composer Jean-Baptiste Lully refined a peasant dance (the poitou), set it to music, and called it the minuet. The French dance reigned supreme in upper class ballrooms until the scandalous waltz debuted in 1812. The first in a line of famous and popular composers, Johann Strauss I (1804 - 1849) claimed fame as a Romantic Age composer of waltzes, although is son Johann Strauss II (1825 - 1899) received the title “The Waltz King.” Scandalous because of the closed embrace of the dancers, the waltz found favor with its relatively simple steps and capacity for allowing partners to hold entire conversations. Around the same time, Miss Berry introduced the quadrille into English ballrooms. By 1813, the upper classes knew it by heart, and it dominated Victorian Age balls. 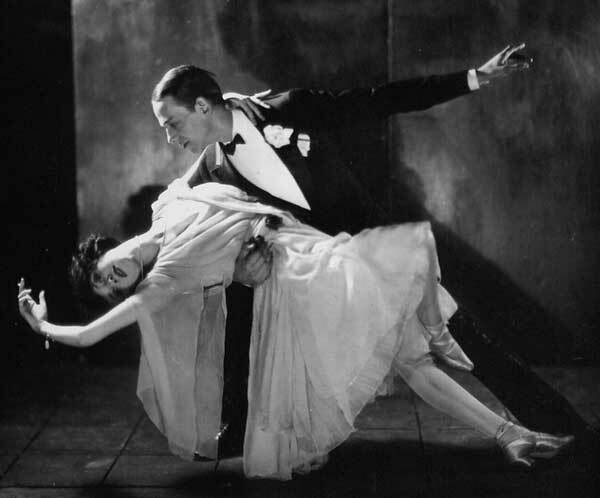 In the early 20th century, Jazz and Latin American verve influenced music, which led away from sequence dances to dancing in which the partners moved independently of each other. 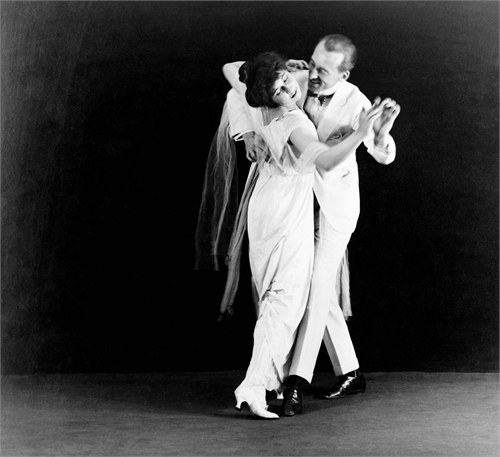 Vernon and Irene Castle ignited the trend toward modern ballroom dance In the 1930s, Fred Astaire and Ginger Rogers set silver screens on fire with the elegance and romance of their dancing and gave rise to the modern sport of ballroom dancing.